The MOOM Fabric Strips are washable and reusable strips that work as part of the hair-removal system to leave skin soft, smooth and hair-free. Made with the highest quality unbleached cotton, the pack comes with 36 body-sized strips and 12 face-sized strips, all of which can last for years of use. Follow the instructions in your hair removal system. 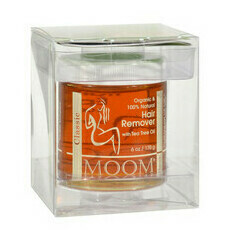 These wax strips adhere really well to the skin and take most of the hairs off when waxing. Love that they’re unbleached and natural. If you want ease in using the Moom wax, these strips are a must - they have the most perfect grip. 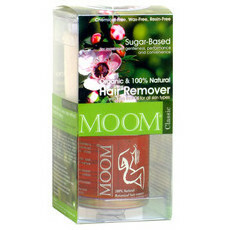 I am loving the Moom products at the moment and will buy again! If you're considering giving at-home waxing a go, these are a must! Having the extra strips will help you wax both legs at once without the fuss and wait of washing in between. 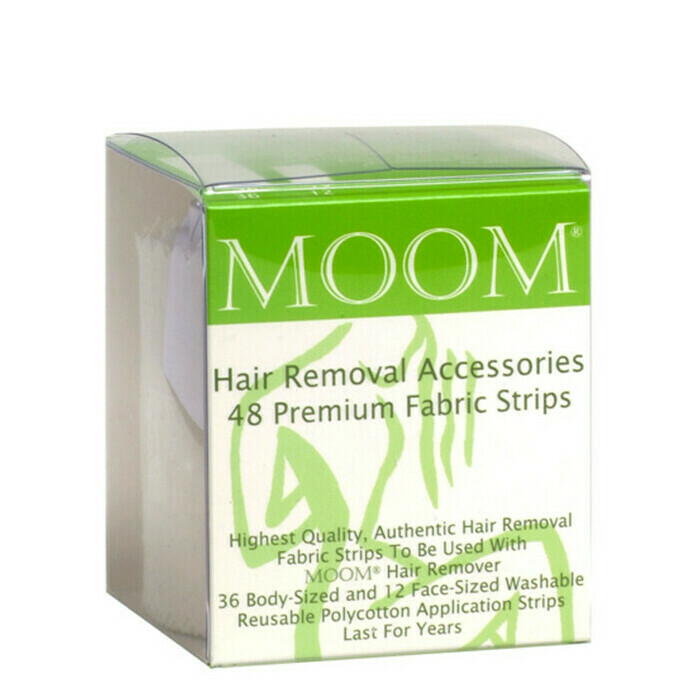 These strips are well made, easy to clean, and work fabulously with moom wax. Love love love.